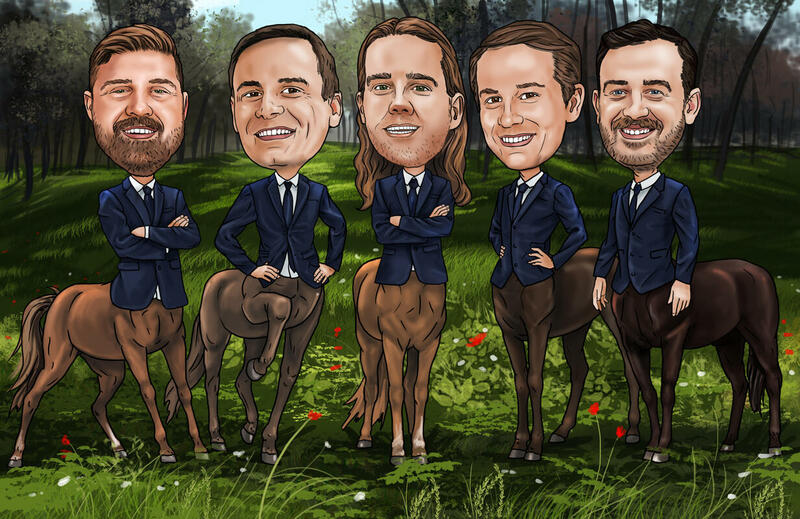 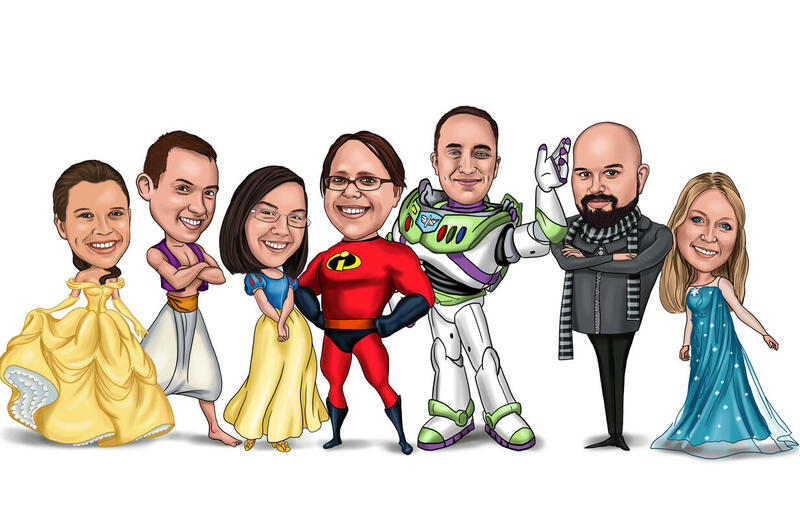 Get a funny Groomsmen Caricature Drawing with your best men looking like any of your favorite Movies or TV Series characters. 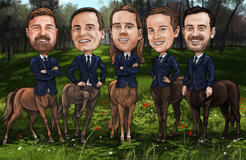 Groomsmen Caricature Drawing will make one of the best and unique groomsmen gift. 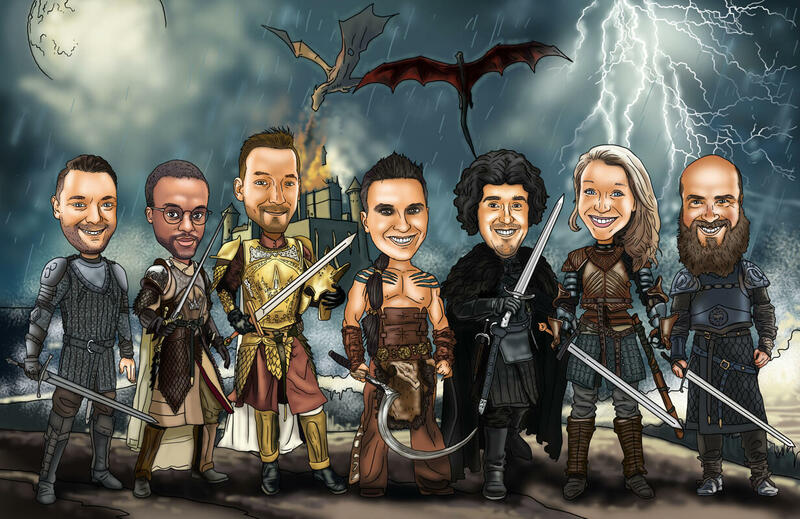 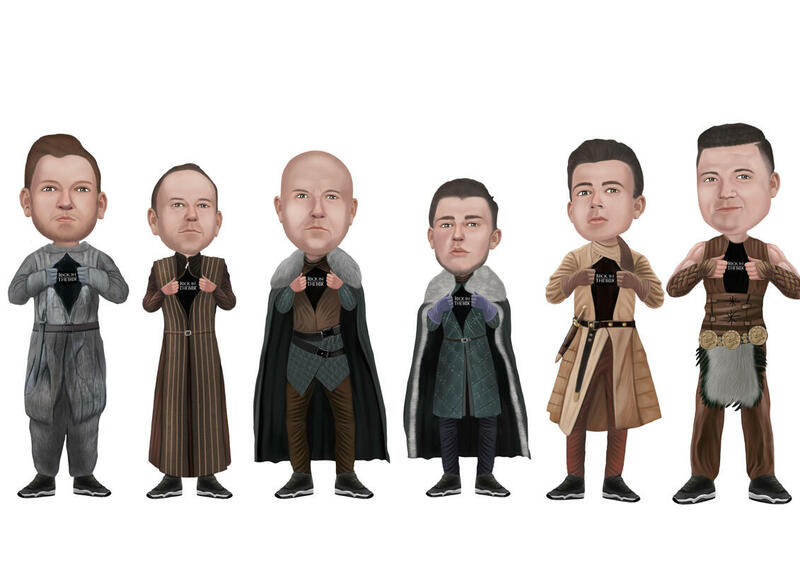 Our professional Caricature artists will draw an excellent painting of your friends as any of characters from movies such as Viking, Harry Potter, Game of Thrones or any others of your choice. 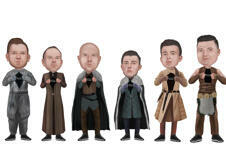 Movies Groomsmen Caricature Drawing is created in Colored digital Style. 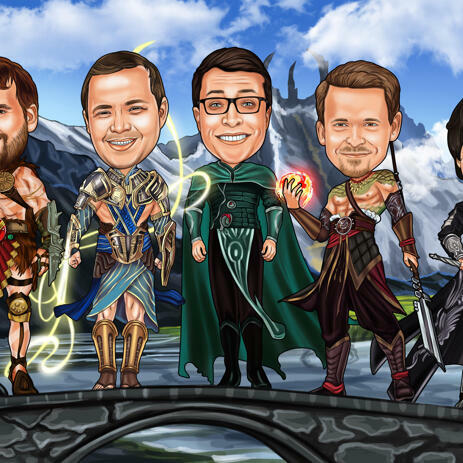 Mention the Name of the Movie or the desired characters in the requirements box below and our artist will take it into account.